I love the XKCD webcomic, especially when it features a science-related theme. Comic number 1145 poses the question “Why isn’t the sky violet?” which I will attempt to answer this week. 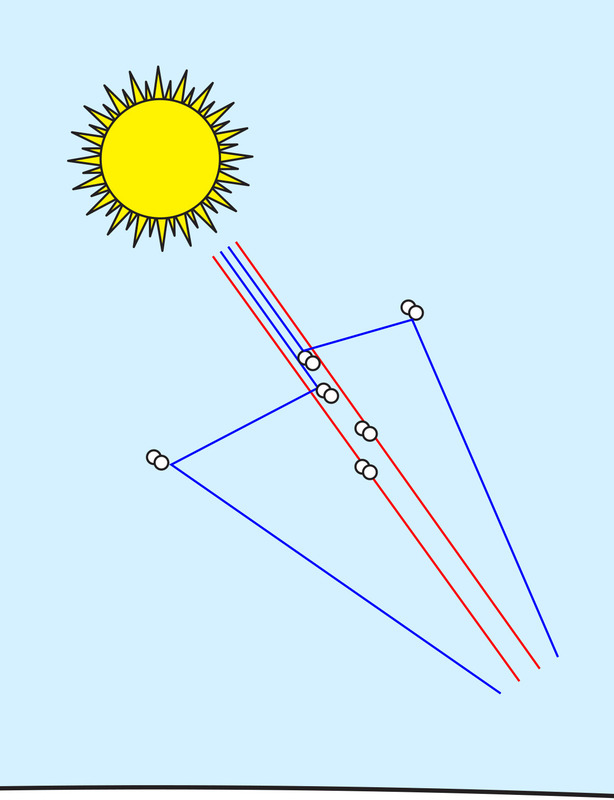 But first we need to understand why the sky is blue: it’s because of Rayleigh scattering. Rayleigh scattering (named after the British scientist Lord Rayleigh) occurs when sunlight passes through the atmosphere and is scattered by air molecules. The light from the sun is a mixture of all the colors of the rainbow, each with its own characteristic wavelength. Sir Isaac Newton demonstrated this nearly 350 years ago by using a prism to separate white light into its different spectral colors. is blue during the day. The amount of scattering is inversely proportionate to the fourth power of the light’s wavelength. That means that the shorter-wavelength components of sunlight (blue and violet) are about ten times more strongly scattered than the longer-wavelength components at the red end of the visible spectrum. Rayleigh scattering is responsible for the blue color of the sky during the day and the orange color during sunrise and sunset. It’s also the reason that the sun itself is yellow when overhead and red at sunrise and sunset. 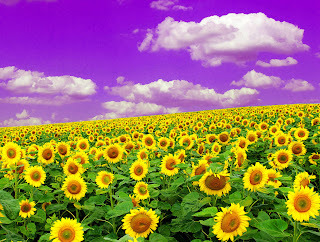 Now back to the original question: since violet light has an even shorter wavelength than blue light, why does the sky appear blue instead of violet? First, the sun produces a lot more blue light than violet light. The Sun’s spectral peak is in the green range and as the wavelength decreases from blue to violet there is a steep drop-off in intensity. as a function of wavelength. Second and more importantly, even though blue and violet both have short wavelengths, our eyes don’t see violet as well as blue. We have three types of color receptors in our retina, called cone cells. There are short-, medium- and long-wavelength cone cells that respond most strongly to blue, green and red light, respectively. Cone cells are stimulated in different proportions and our brain uses this information to construct the colors we see. Across the visible spectrum, it turns out that blue provides the maximum responsivity. the monitor to see the effect. 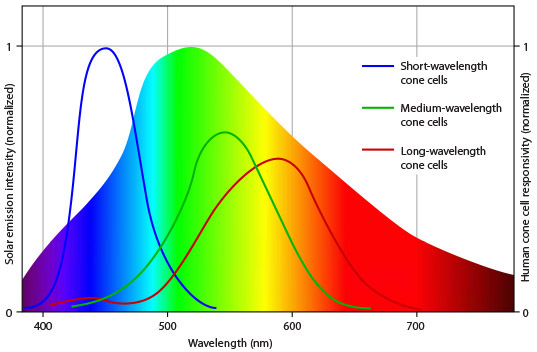 Since the cone cells are sensitive over broad, overlapping ranges of wavelengths, many colors can be seen by mixing other colors. Take yellow for example. There’s a good reason why caution signs are yellow—yellow light lies right between green and red on the spectrum and causes a large response in both the medium- and long-wavelength cone cells. 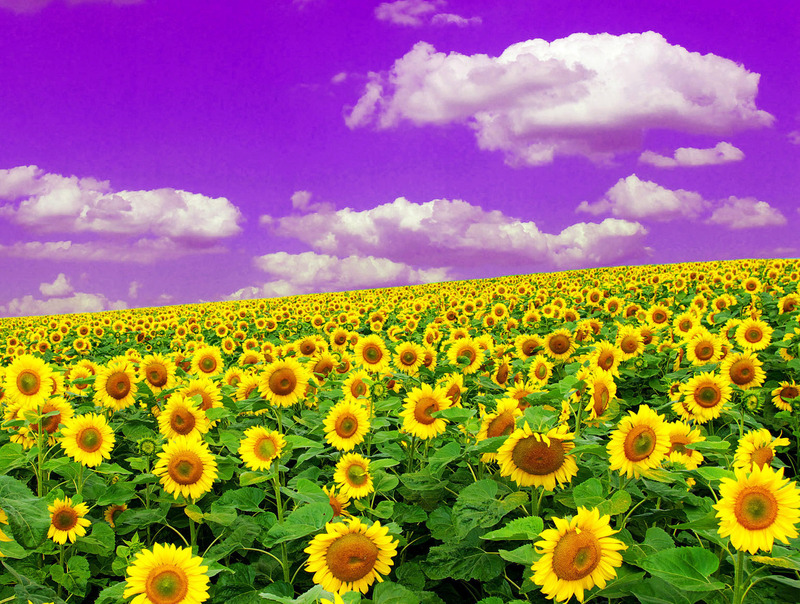 Regardless of whether you see pure yellow or a mixture of red and green, your eyes can’t tell the difference. When two colors can be created with different spectral distributions they are called metamers. 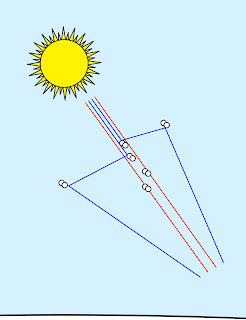 In this same way, the sky’s combination of violet and blue triggers the same cone response as pure blue plus white light, which yields the pale blue color that we see. It’s no coincidence that we see things the way we do. Human evolution is shaped by our environment—the ability to separate the colors around us provides an evolutionary advantage. Even though humans don’t see violet in the sky, some birds might because they have an extra type of cone cell that extends their color vision into the ultraviolet range. The male Blue Grosbeak appears mostly blue to humans but has plumage shifted to the UV range that he uses to his advantage during courtship. The Common Kestrel uses its UV-enhanced vision to find voles by following their scent trail which reflects UV light, making it visible to this clever hunter. So maybe violet skies are for the birds.